Timmons Volkswagen has been providing solutions to your automotive needs for over 33 years. Much like the Volkswagen brand, we offer reliability, efficiency, and affordable prices unrivaled by any other dealership in the area. 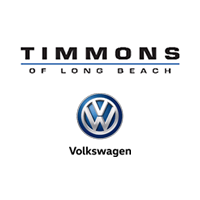 If you’re still not convinced that we’re the best in the business, check out these 4 reasons why Timmons is the Volkswagen dealership of choice in Southern California. Whether you’re purchasing a brand new Jetta or just stopping by for a quick oil change, we treat you like family. Passing down the Timmons dealership for generations has taught us that building relationships based on trust is key when running a successful business. We strive to make you feel at home from the moment you walk in our doors. Our goal is to turn your stressful car shopping experience into a fun and exciting life choice that you can enjoy for years to come. Choosing the vehicle that best suits your needs can be a difficult process which is why we provide you with a wide selection of different models. We are constantly updating our inventory with brand new vehicles including the 2015 Golf and the 2015 Passat. If you’re looking for something other than a Volkswagen, we also offer a variety of pre-owned makes and models at competitive prices. Whether you have bad credit or amazing credit, the finance specialists at Timmons Volkswagen will find a car loan that is right for you. We understand that times can be tough which is why we will work with you to find the car of your dreams with a finance package you can afford. Check our quick and easy online finance application to get pre-approved instantly! Accidents happen and, when they do, Timmons Volkswagen is ready and willing to save the day. Our team of high-qualified technicians work quickly and efficiently to get your car back on the road in tip-top shape. We also offer a variety of Volkswagen certified parts that you can order online or in store. If you would like more information about dealership, feel free to call us at (855) 634-5626. You can also check out our website for a list of available new and pre-owned vehicles or stop by Timmons Volkswagen in Long Beach, California today for a test drive! 0 comment(s) so far on Welcome to Timmons Volkswagen!